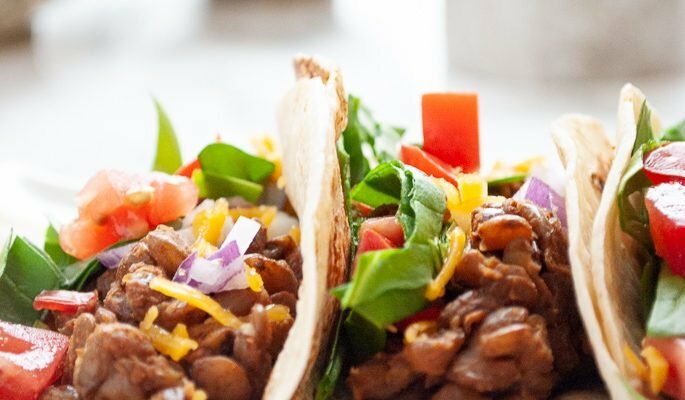 Scrambled tofu breakfast tacos are a quick and easy high protein breakfast option that is full of fresh Mexican flavour. Tacos for breakfast? Yes please! I absolutely LOVE eggs for breakfast, and one of my favourite breakfast options has always been any variation of a breakfast burrito. I had heard about tofu as a scrambled egg alternative, but it took me quite some time to get around to trying it. 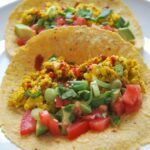 Honestly, I wish that I had tried scrambled tofu sooner, because these scrambled tofu breakfast tacos are amazing, and I don’t miss the egg in them at all – in fact, I PREFER the scrambled tofu. Why do we love these breakfast tacos so much? Quick clean up. Honestly, the pan pretty much only requires a quick wipe down (WIN!!) can’t say the same thing about cleaning up after scrambled eggs…. If you are not familiar with nutritional yeast or hemp hearts, please do not skip these ingredients! The nutritional yeast provides a creamy texture and almost cheesy like flavour to the scrambled tofu while adding extra protein to the dish as well as a serious dose of B vitamins, including B12. The hemp hearts add a nice almost nutty flavour to the tacos, and they also provide an extra punch in protein as well as a healthy fat. 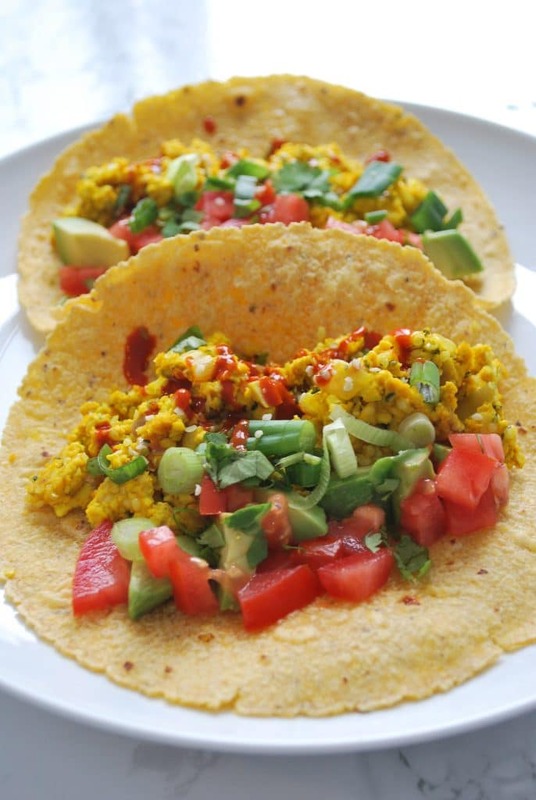 You could make these scrambled tofu breakfast tacos on any tortilla you like. We like to serve ours on Food for Life Sprouted Corn Tortillas. You can find these guys in the frozen health foods section in your grocery store. 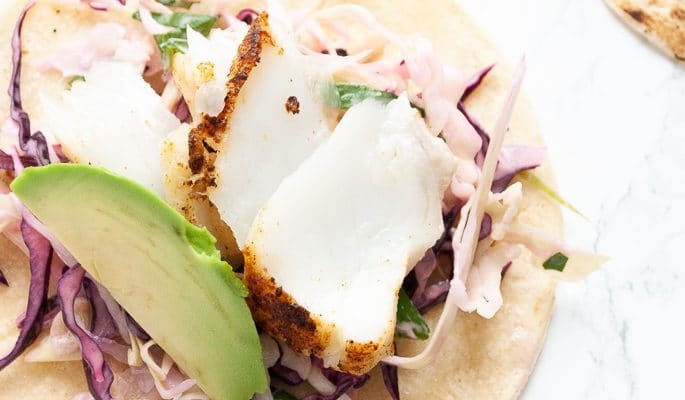 We prefer the corn tortillas to flour as they are lower in calories and net carbs, and the sprouted corn option provides you with more micronutrients. Place the tofu in a bowl and use a fork to mash until it is crumbled. Add tahini and nutritional yeast to the bowl and mix thoroughly. Heat oil in a skillet over medium high heat. Add the shallot and cook for 2 minutes, or until slightly translucent. 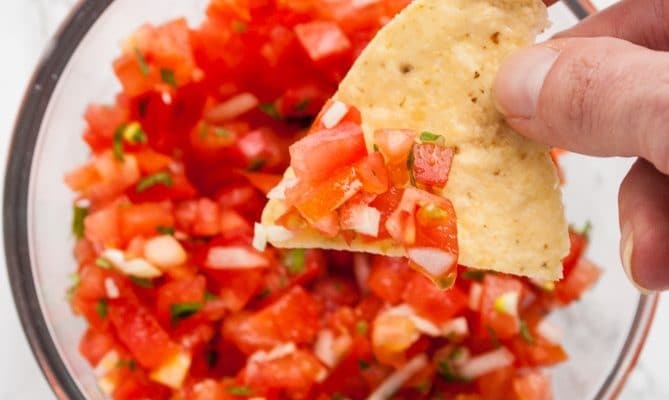 Fill tortillas with tofu mixture. Divide hemp hearts by 4 and sprinkle on top of the filled tortillas. Garnish according to taste and enjoy! High protein breakfasts are the best and this one is right up my alley! Tomato and egg is a winning combination ,yum and yum! We have someone spending the weekend who is vegan and I’ve been trying to decide what to do for breakfast! This is perfect! I love a great breakfast scramble any time of day! I never thought about using tofu; that will be good news for my tummy! Looks delicious! Thank you!! You’ll love it I’m sure! OH I love this idea! I always forget about tofu scrambles for breakfast. I have been trying to eat less eggs and so I am looking for some filling breakfast options. I love how I can still enjoy a breakfast taco without eggs.